Pen - Translucent jumbo pen with grip section. 3 working days - Translucent jumbo pen with grip section. Stands out from the crowd! Extra, Extra large advertising! 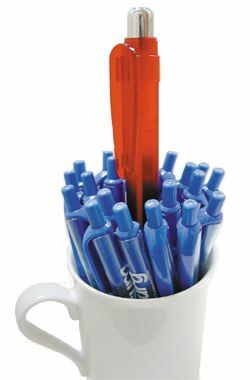 The 5XL is one of the largest promotional pens on the market. It has a huge imprint area for extra, extra large advertising. This pen really stands out from the crowd! Tags: Translucent jumbo pen with grip section.